You’ve probably never heard of it, and yet you know its story well, because it’s a story that is engraved in the Jewish consciousness and the Jewish soul and has been for thousands of years. 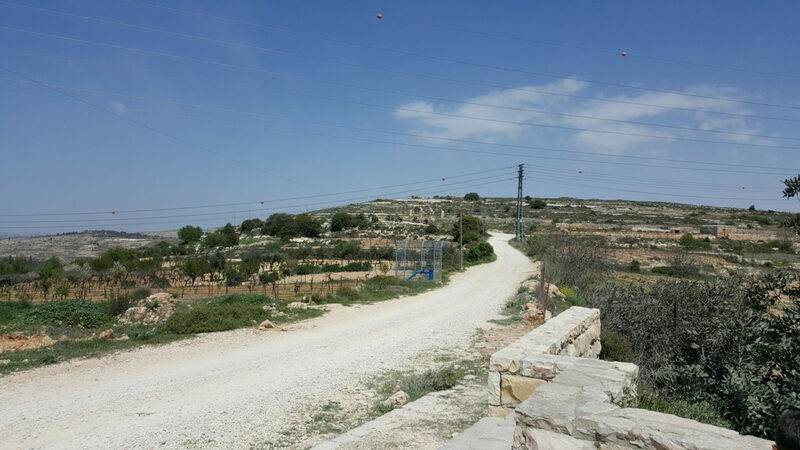 Netiv Ha’avot is a place in the Judean hills that has been in the news lately, because the Israeli Supreme Court has inexplicably ruled that 15 homes and 2 extra structures in the community out of a total of 40 homes should be destroyed. And the reason the Court says it should be destroyed is because there are two small strips of land, identified through old aerial photos, that run through it that have been claimed as land that might have been used for agricultural purposes pre 1967, based on the fact that tyre tracks have been identified in these old photos. Despite this, no Arab ownership has ever been proven. These strips of land allegedly encroaches into the Jewish homes around there by sometimes as little as a metre or two and at times even less than that. And yet, even though the owners of the homes have offered to literally slice off the small chunk of their homes that allegedly infringes on that land, the court has rejected that offer, ruling that all of the homes should be destroyed. And to add to this bizarre scenario, even if the owners of these homes wanted to buy this land, there would be no one to buy it from, since there are no identifiable owners! One of the rules of law is that there should always be a test of reasonability, and if a reasonable path is offered to resolve a conflict then that should be explored; however in this case it seems reason has been rejected completely. Because one does not need to have a law degree to understand how ludicrous and illogical the situation is to destroy entire homes for the sake of a meter or two. It is as if someone has an infected toenail and the doctor deciding that rather than remove the toenail, the person themselves need to be destroyed. Can you imagine if there was a Jewish claim to an area of land in the middle of Ramallah that ran through various buildings and homes, which in all likelihood there probably is! But would a court order that the buildings be destroyed? Of course not, and it’s ridiculous to imagine they would. Jews have been kicked out of their homes for centuries from all the surrounding Arab territories without the slightest compensation and most definitely no justice. Yet somehow, the Jews are expected to adhere to an unrealistic expectation that is dangerous and illogical and does not serve justice in the slightest. The people who launch these types of land claims, including Arabs as well as extreme left movements like Peace Now who petitioned the court to destroy these homes in this particular case, do not look at the Israeli Justice system with respect and admiration. They laugh at it. But this is not really about a small strip of inconsequential land in a small Jewish community in Judea, it’s part of a wider and continuing strategy to remove the Jewish character out of the Land of Israel, a strategy supported by various international bodies, including the United Nations and the European Union. Their goal is to remove our story. To remove our history. To remove our homeland. To take the Jews out of Judea and make us illegal occupiers in our own land. It is to unwrite the history of this region and replace it with a fairy tale version that never existed. Netiv Ha’avot is not an isolated hilltop in the middle of nowhere, but is part of the still beating heart of a Jewish history that continues to be written every day. Just a few hundred meters down the hill, sits the community of Elazar, so named after the Maccabee who died in battle in this very area, fighting for the freedom of the Jewish people. Netiv Ha’avot actually is a neighbourhood of Elazar. Over here, you can even walk on the streets named after this famous Jewish Maccabbe’s family like his brother Yehonatan or his father Matityahu. 2200 years ago, they fought the Greeks for the freedom of their people, and in a way those living here in these same areas that were fought for all that time ago are the modern day Maccabees and are indeed a testament to the memory of the Jewish people who have never forgotten their roots and continue to fight for their freedom to live in their ancestral lands. Then not far from here, below Netiv Ha’avot to the west, is the path on which Abraham took his son Isaac on his way to an isolated hilltop that would become Jerusalem. You can still see an ancient Jewish ritual bath on the side of that path, built specifically for the many pilgrims who would later walk that very same path on the way to the Jewish Temple. This whole area of Judea is very much the heart of Jewish history and all around you and above you and below you, to your left and to your right, beyond each hill and behind each ridge, lies the story of the Jewish people, written in each stone and in each pebble and in each bush and in each small bit of gravel that has quietly witnessed the thousands of years of human history pass them by. To claim that these areas in which the blood and the sweat and the tears of thousands of years of Jewish history lie in the dust and in the earth and in the rocks, are now illegally occupied by the very same people who fought for their freedom is like saying the sun rises at night and the grass is blue. Israel is a Jewish country and that makes it unique in the world, but it’s not up to the world to preserve our Jewish heritage. That responsibility belongs to us. As we increasingly see, international organizations are constantly trying to erase that heritage through resolutions that ignore 4000 years of history and if we don’t fight for our own history, then what hope can we truly have to preserve our rich past as we go forward into an increasingly challenging future? Netiv Ha’avot literally means the Path of Our Ancestors and only by always remembering and honouring those ancestors from the past will we be able to keep our future alive. The Asymmetry of the Israel-Palestinian Conflict.